Welcome to Severbeauty,Thanks so much for taking the time to vist my website,my name Sever,My brand name Severlashes,I created my lash factory from 2003years,Actrually I am teaally do important business just for two years ,because I have many trading companies purchase lashes from me ,so I never consider about important thing,my friends said to me that you should learn english ,so I just work while I study enhlish,And that I accumulated more and more types and production experience for my clients,of course ,this let me possess more customers,I love lashes,because thay can bring us beauty and confidence,and that let our life more beautiuful and happy,It has been 13years since I fell love with lashes and studied and researched them ,and that I love them in all my life , I always think that the eyes are the relactions of our minds , eyelashes are the window of the eyes,It"s my pleasure to introduce them to you guys.I hope let more customers get reasonable price for top quality . 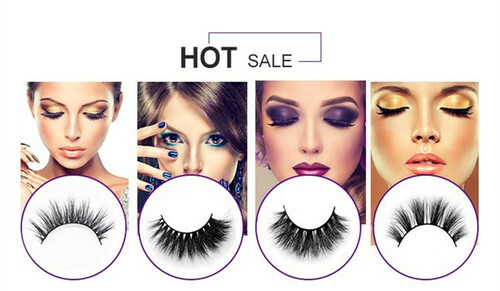 There are many kinds of eyelashes ,I only introduce some common ones here,3D mink lash ,3Dsilk lash,Normal lash,human hair lash,thay are all great ,just the material is different,so the same style lashes come out of the shape and the texture are not same,thay must go through nine steps to become our beautiful eyelashes.Acturally good lash making process is complicated,all the raw materials must be sterilized first,if you want to know more ,welcome to visit my factory,It"s good to discuss eyelash knowledge with new and old customers,I am grateful ! If you like me ,please keep in touch with me .